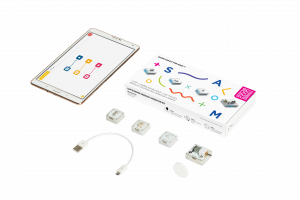 MicroK12 has recently introduced SAM Labs, a fun and interactive STEAM solution that delivers an engaging learning experience within the classroom to support coding education. The ways that SAM Labs integrates these experiences is through a wide variety of kits that establish a world of coding and creating to the classroom. Bursting with a variety of hardware and software, SAM Labs classroom-proof kits provide everything an educator needs to unleash a student’s creativity. Students can design and create physical systems through Bluetooth connectivity, using the SAM Space application via Windows and Chromebook solutions. Curious what kind of lessons SAM Labs has to offer? At a young age it’s important to be subjected to the world of technology, even more so when its introduces through education. Teachers have the freedom to cover concepts through curriculum-based kits, designed to enhance the minds of young students through technology. Lessons range from board game development, integrating ideation and programing interactive games, which can span across multiple lessons. From creating a light chasing robot through the building processing and learning how to control the robots every move. Aside from the development and building aspect of SAM Labs, students will be able to program and de-bug systems. This is where SAM Space comes into play, through a visual representation of how to connect blocks together with the click of a mouse or the touch of your fingertips. Build logical reasoning, through the SAM Space application by combining SAM Blocks (components of each building kit) to bring projects to life, and infinitely expand your technological mind. Is there an age range where these lesson plans would be most effective? SAM Labs instills users to integrate lessons plans for students between 7 and 11 years old. Through a simple and straightforward framework, students are given complex topics in a comprehensive manner, making it easier for beginning to intermediate skill levels. What are the types of kits offered, and whats included? There are 3 unique kits we carry through SAM Labs, suiting classroom sizes, key features, and wide variety of wireless electronic blocks and accessories. 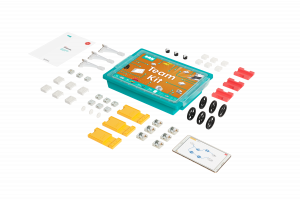 The Classroom Kit allows for a group of 30 students to emerge in designing and coding off of 25+ lesson plans, access to the SAM Space Education Application, and 100 fun accessories to personalize projects. The Inventor Kit is geared towards being a fully functional starter project. Put on your inventor hat, and make machines, interactive games and more within minutes. Four modules included, SAM Space Application capable, and all necessary charging cables/bluetooth dongles. The third type of kit we offer is the Team Kit, supporting 9-10 students. 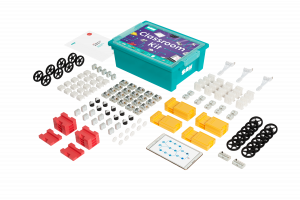 This kit is meant for smaller classroom environments, and coding clubs. Features similar to the Classroom Kit, 25+ lesson plans, access to the SAM Space Application, and 30 fun accessories to personalize projects. Is SAM Labs the right match for your classroom? Find out by emerging into the world of technology, creating awesome inventions with no wires and no fuss. Just serious fun. Next PostNext 3D Printing for Education Has Arrived!